Jenny regularly sources plants for clients to ensure value for money, and that the best cultivars and grades are actually supplied without inferior substitutions. Plants can be sourced directly from wholesale Nurseries, and delivered to site, saving you hours of running around, & very likely money as well! 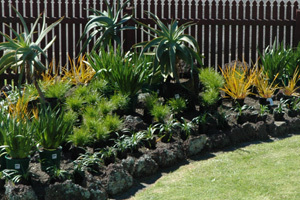 Plant spacing is included with this service. 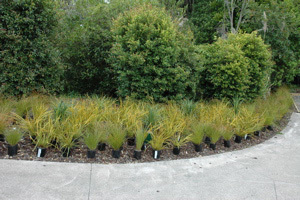 Positioning plants ready for planting is a skill in itself. 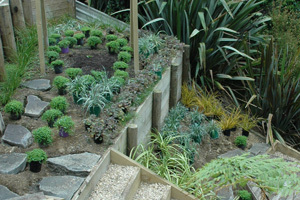 No matter how detailed a Planting Plan may be, fine tuning on plant placement is necessary to allow for the growth habit of each individual plant. 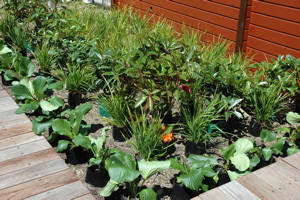 Planting can then be completed for you, or you may wish to save money by doing this yourself.